Lightweight and slim pocket design, easy to use and save space!Equipped with a string Hole at the bottom, more convenient for you to carry, you can Hang it on your bag, Belt, etc. with a string. 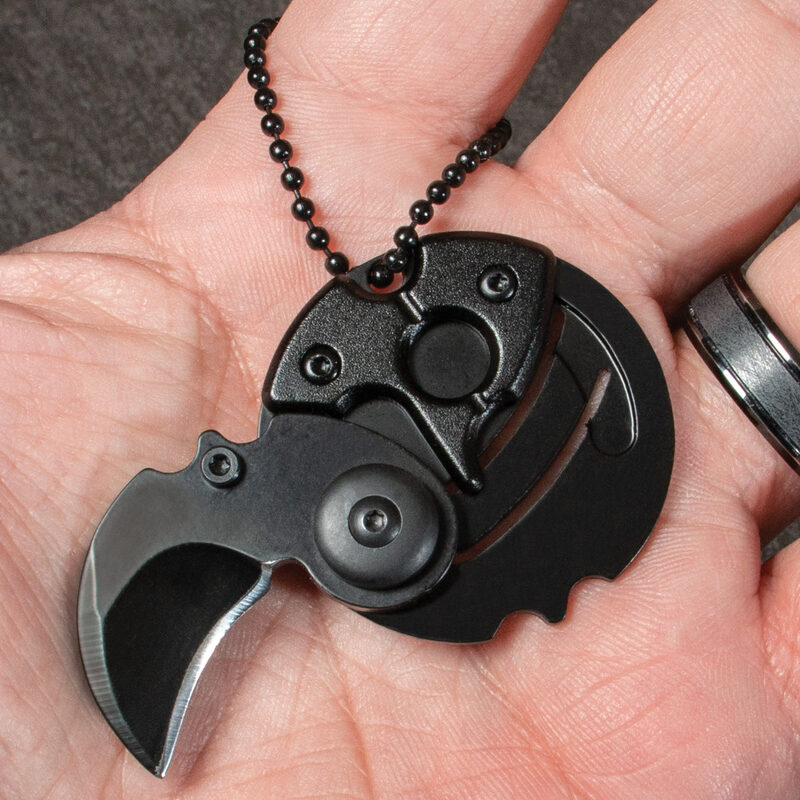 can easily be added to your keychain or used on a necklace.nice tool for camping, hunting, hiking, adventure, Self defense, and EDC use. I love this little keychain knife. I put it on a cord and wear it around my neck, its surprisingly sharp for how small it is. It&amp;amp;amp;amp;#39;s also surprising how often I use it in my everyday life.